Today I discovered a new page dedicated to aircraft carrier documentaries. If you're interested in aircraft carriers or maybe even if you have someone working on an aircraft carrier, you should check out Stargazer00's list. Of course, I went a bit farther and looked to see what aircraft movies or documentaries are available on blu-ray. I found just two movies and they are definitely movies, not documentaries. The first movie is The Final Countdown with Kirk Douglas, Martin Sheen and James Farentino. 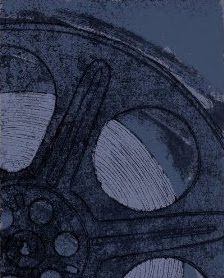 Blu-ray.com says, it "combines action, adventure, and sci-fi elements with a deep philosophical and moral discussion that never becomes too burdensome or too pronounced, always punctuated by moments of intense action and spectacular imagery..." They call this one well worth owning and recommended. The second aircraft carrier movie available on blu-ray is Flight of the Intruder with Danny Glover, Willem Dafoe, Brad Johnson, Rosanna Arquette and Tom Sizemore. High-Def.com says that if you are a Flight of the Intruder fan, you must own this blu-ray. Otherwise, they recommend it for renting because it isn't as cool as Top Gun or as emotional as Platoon. These two blu-ray movies aren't quite what Dianne had in mind when she made her list but they are still, I'm sure, great gift ideas for fans of the military movie genre. For authenticity, of course, you will want to visit Dianne's page and see the great gathering of aircraft carrier DVDs she has put together. Order your copy of The Final Countdown on blu-ray. Order your copy of The Flight of the Intruder. 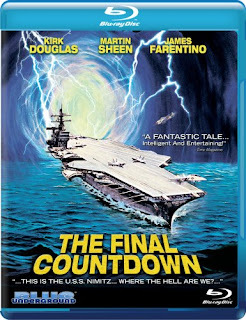 The Final Countdown is a good one for someone interested in aircraft carriers. I've not seen Flight of the Intruder so I will have to check that one out. Thanks for the suggestion and thanks for the mention of my list. Aircraft carriers are awesome fighting warships with all that entails, but they are also floating cities with all the stories and drama found in any city.